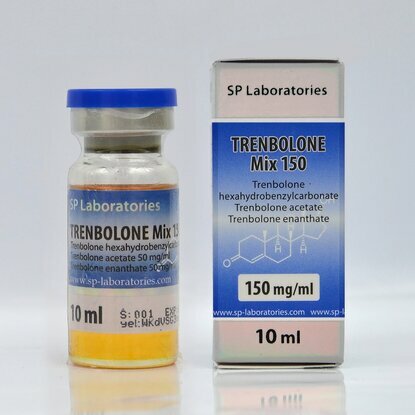 Trenbolone Mix is a steroid containing three different esters like Trenbolone Acetate, Enanthate, Hexahydrobenzylcarbonate and each substance contains 50mg. Acetate at the start has a faster action than other substances, that's why it can be compared with Parabolan at the beginning of the administration. Trenbolone Mix is based on Trenbolone and is used by bodybuilders for defining and for the accumulation of strength and muscle mass. With this product, we obtain muscle mass in a short time without water retention and fat in the body. Trenbolone Mix has the property of flavor but has a tendency to bind to Progesterone receptors. 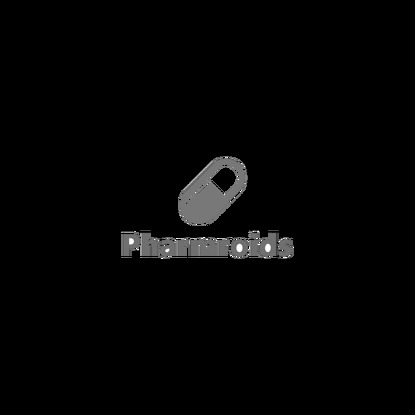 The Progesterone side effects are very similar to those of Estrogen. At people who are using Trenbolone may occur very rarely Gynecomastia. This effect can happen when Trenbolone is combined with a similar steroid. For this reason, it is advisable to use anti-estrogens. 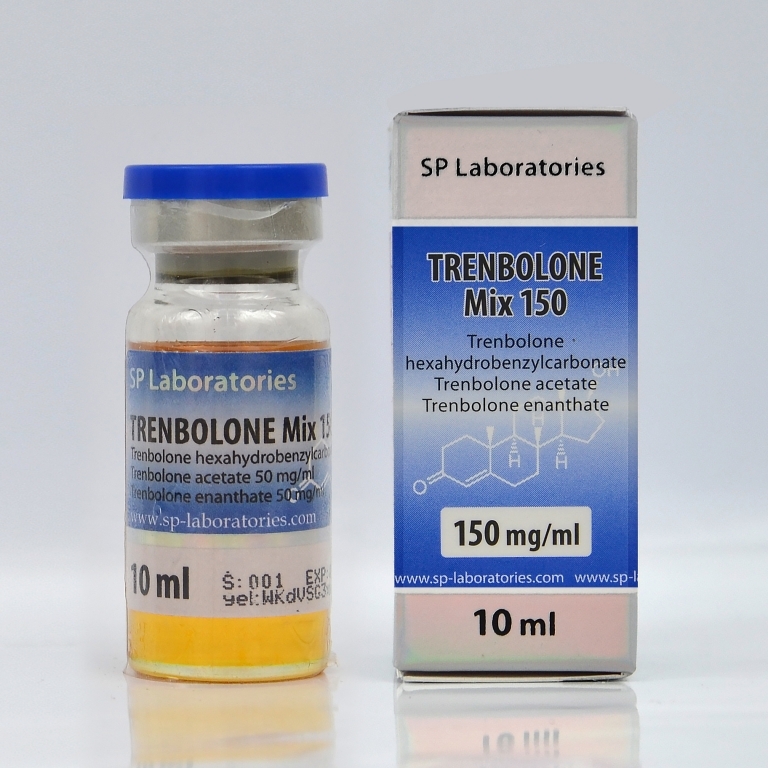 Normal dose of Trenbolone mix is 150-300 mg per week. For muscle gain, it can be combined with Testosterona E and for defining with Testosterona P, Primobol or Oxandrolone.